Here’s some detail on the most common uses of Activated Charcoal. Activated charcoal is an effective natural remedy used to trap toxins and chemicals in our bodies, thus allowing them to be removed so the body doesn’t reabsorb them. It’s made from a variety of sources, but when used for natural healing, it’s important to choose activated charcoal made from coconut shells or other natural sources. Click Here to see our Activated Charcoal Special. Activated charcoal works by trapping toxins and chemicals in its millions of tiny pores. Usually though, it’s not used when petroleum, alcohol, lye, acids or other corrosive poisons have been ingested. It doesn’t absorb the toxins. Instead it works through the chemical process of adsorption. Absorption is the chemical reaction when elements are soaked up. Adsorption is the chemical reaction where elements bind to a surface. Whenever you take activated charcoal, it’s important to drink 10-12 glasses of water per day. Activated charcoal can cause dehydration if you don’t drink enough water at the same time. In addition, this helps to flush out the toxins quickly and prevents constipation experienced by some people. Are your teeth stained from coffee, tea, wine or berries? 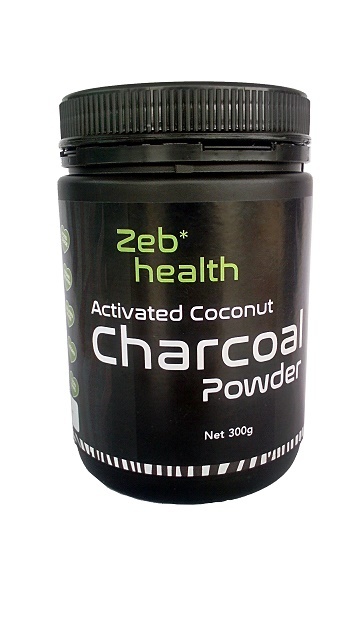 Activated charcoal helps whiten teeth while promoting good oral health by changing the pH balance in your mouth. This helps to prevent cavities, bad breath and gum disease. It works to whiten teeth by adsorbing microscopic particles and plaque and that stain teeth and is a very cost-effective and an all-natural solution for a bright smile. Directions: Wet your toothbrush and dip it into powdered activated charcoal. Then just brush as normal, focusing on the areas showing the most staining. Rinse your mouth well, until spit is clear. For best results, brush teeth with activated charcoal two-three times per week. Note: If you have crowns, caps or porcelain veneers, it’s possible that activated charcoal will stain them. In addition, if your teeth become sensitive, stop using it. One effective activated charcoal use is to relieve uncomfortable gas and bloating. It works by binding the gas-causing by-products in foods that cause discomfort. Directions to alleviate gas and bloating: Drink a teaspoon of activated charcoal mixed into a cup of water one hour before a typical gas-producing meal. Follow with another glass of water straight after the meal to help get the charcoal into your system, where it can bind with gas-producing elements. While activated charcoal does not adsorb alcohol, it does help to quickly remove other toxins from the body that contribute to poisoning. Alcohol is rarely consumed in its pure form. Mixers including artificial sweeteners and chemicals are common. Activated charcoal removes these toxins. Most people don’t think about mould living in their bodies, but it can. Toxic mould can cause depression, kidney and liver failure, decreased brain function, heart disease, eye irritation, headaches, vomiting, impaired immune system function, and severe respiratory distress. Homes that have been flooded, or even those with dampness under the floor or in the walls, can create an environment where mould can thrive. Poor ventilation contributes to the problem, and bathrooms, basements and laundry rooms are particularly susceptible to mould growth. If there is visible mould in your home, it must be dealt with properly. It’s important to wear gloves and a protective mask to keep from inhaling toxic mould during cleanup. Baking soda, apple cider vinegar, tea tree oil and borax can be used to clean mould off hard surfaces and keep mould from growing in the future. If you or your family experience symptoms including wheezing, rashes, watery eyes, coughing or headaches that aren’t explained in other ways, your home should be checked for mould spore levels, even if no visible mould is detected. It can thrive behind plasterboard, under floors and in ventilation ducts. Drinking water is essential to good health; however, typical tap water can be toxic and laden with chemicals, toxins and fluoride. Ingestion should be limited whenever possible. Activated charcoal water filters are available for whole-home systems, as well as countertop models. Drink eight-10 glasses of pure water per day to help soothe the digestive tract, fight fatigue, keep organs operating, and provide lubrication for joints and tissues. As mentioned above, one of the most common activated charcoal uses is to remove toxin and chemicals that have been swallowed. Most organic compounds, pesticides, mercury, fertilizer and bleach bind to activated charcoal allowing them to be quickly eliminated, while preventing their absorption into the body. In addition, activated charcoal can be used in the event of food poisoning when nausea and diarrhea are present. Adults take 25 grams in water (2.5 Tablespoons) at the onset of symptoms or when food poisoning is suspected, and children should be given 10 grams in water (1 Tablespoon). Increase dosage as necessary. Remember, it’s essential that adequate water is consumed when activated charcoal is taken. For external treatments, activated charcoal is effective at treating body odour and acne and relieving discomfort from insect bites, rashes from some plants and snake bites. After a mosquito bite or bee sting, mix one capsule of activated charcoal with ½ tablespoon of coconut oil, and dab on affected area. Reapply every 30 minutes until itching and discomfort have gone. As activated charcoal stains nearly everything it touches, wrap with a bandage. To treat bites from snakes and spiders, you want to cover a larger area than just a small bandage, as the bacteria and viruses that lead to tissue damage need to be mitigated quickly. To treat acne, mix 1/8th teaspoon of activated charcoal with two teaspoons of aloe vera gel, and smooth over face. Let dry and rinse off completely. The activated charcoal binds with environmental toxins and dirt that contribute to acne. It’s also good for spot treatments. Environmental factors, including pesticides on food, chemicals in the water we drink and exposure to mould, create a toxic burden in our bodies. It’s important to routinely cleanse the digestive tract to support overall health and wellness. To complete a digestive cleanse with activated charcoal, take 10 grams (1 Tablespoon) 90 minutes prior to each meal, for two days. During the cleanse, eat only organic fruits and vegetables. If during the cleanse you find you are constipated, this is a definate sign you’re not drinking enough water! Drink a glass of warm water with a slice of lemon every half hour until constipation is relieved. Directions: take two capsules per day after exposure to nonorganic foods, heavy meals or after contact to other toxins. This supports better cognitive function, a reduction in brain fog, healthier kidney and liver function, and a healthier digestive tract. WARNING! Do not take activated charcoal within 90 minutes to two hours of taking any prescription medication or supplements as it can prevent proper medication absorption. MyNewSkin. Best Nourishing Skin Treatment for Dry Winter Skin. Dry, rough, sagging Winter skin again? MyNewSkin is a 100% natural, nourishing skin treatment created directly from hand-picked, fresh plant extracts and it's already helping thousands of people with their skin. Many say there is no better natural, nourishing night treatment! It is so easy to use and gives you amazing results! 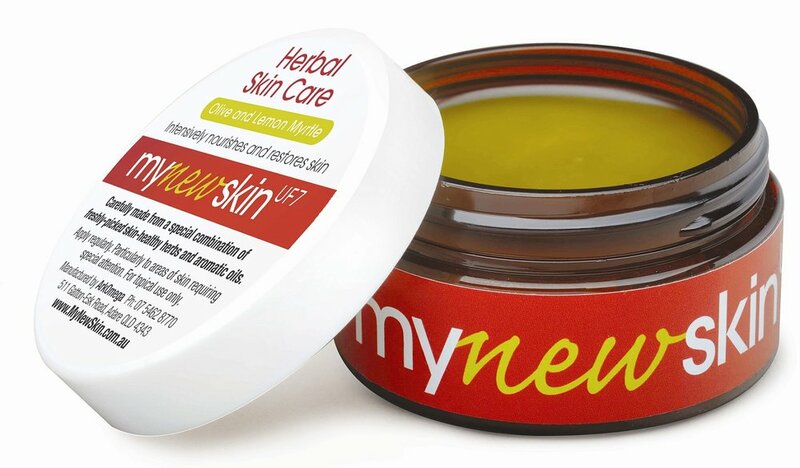 If you LIKE natural plant oils and ingredients, you will LOVE MyNewSkin. Only Nature provides the necessary nutrients to keep your face and body looking and feeling healthy. And only Nature gives the nourishment necessary to properly restore ageing and damaged skin. In nature, the old is constantly being replaced with the new and with MyNewSkin, this renewing principle is maximised. FRESH Locally Grown Organic Produce - FRESH Potted Herbs - HEALTH Products - NATURAL Skin Care - RECIPE Books - HEALTH Books. WHERE: ArkOmega Farmacy, 511 Gatton-Esk Road, Adare. After 25 natural ageing sets in and the appearance and feel of your skin changes. Your body heals and replaces old and damaged cells more slowly. From 45 onwards your skin starts to thin, in part due to hormonal changes. This thinning makes the skin more fragile and vulnerable to damage from bumps and scrapes and more sensitive to irritation from chemicals and detergents. Your skin is designed to be healthy. The most important thing for naturally healthy skin is proper nourishment. If you want to improve your health, give your body the right nourishment regularly. If you want to improve your skin, give it the right nourishment regularly too! MyNewSkinUF7 will intensively nourish and restore your skin. Spring and autumn are probably our two favourite times of year. For some, autumn is probably just ahead of spring, because for them spring can bring allergies and itchy, irritated skin. Eat Right According to Leonard Bielory, M.D., American College of Asthma and Immunology, “Avoiding certain foods and adding more of others can affect your likelihood of developing seasonal allergies, as well as the severity of your symptoms.” Avoid foods high in histamines like mackerel, herring, sardines and tuna. Fermented, aged and processed meats and cheeses are also high in histamine. Avoid pro-inflammatory foods like milk proteins and the trans fats and polyunsaturated fats found in many processed or takeaway foods. Eat lots of vegetables, fruits and foods high in omega-3 fats, such as walnuts and ground flaxseed. Consumption of these foods will help decrease inflammation. Stop/reduce your alcohol intake Many may not be aware that there is naturally occurring histamine in alcohol, created during the fermentation process. Wine, beer and champagne contain the highest concentration of histamine. Drinking them could exacerbate your symptoms. Drink lots of water to keep mucus membranes in top working order. Strengthen your immunity with our one of our favourite products: Fortified Defence. This powerful blend containing two of nature’s strongest natural health aids — wild oregano and fresh olive- leaf extract — will ensure that your immune system functions optimally. Use MyNewSkinUF7 to reduce your allergy-related symptoms. MyNewSkinUF7 contains fresh chickweed and salad burnett to help soothe skin irritations. We believe we were designed to have the physical, emotional, and spiritual domains of our life in balance. Our goal is to inspire and engage as many as possible to achieve that balance, to live healthier and to live life more abundantly.